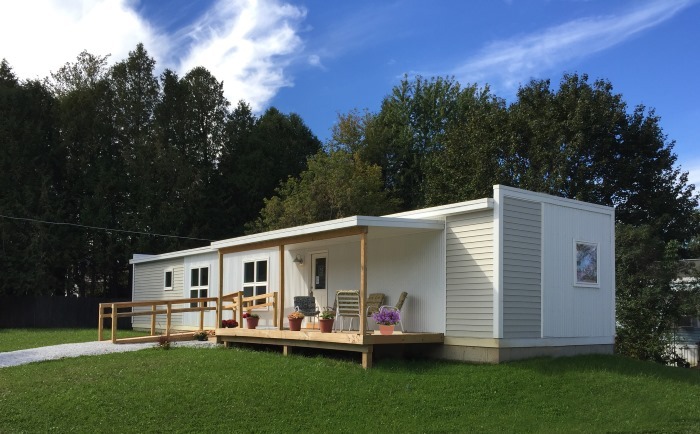 Peter Schneider explains how modular homes are built, and why they are an ideal replacement for traditional manufactured mobile homes. 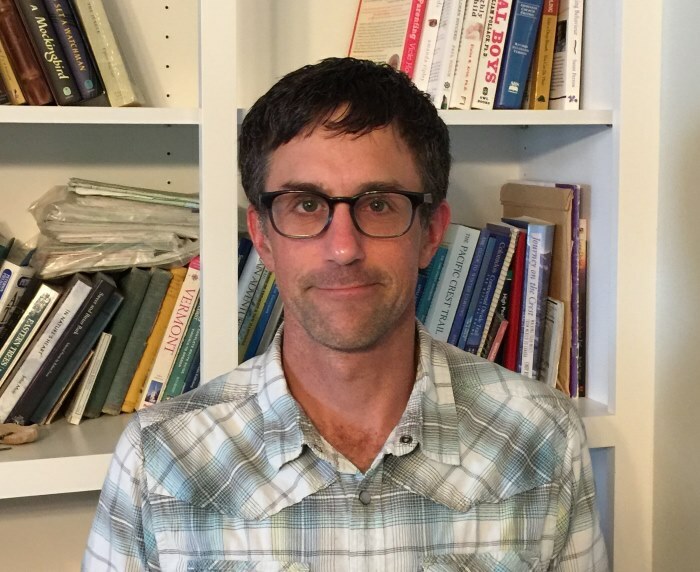 Peter Schneider is a senior consultant at Efficiency Vermont and the Vermont Energy Investment Corporation (VEIC), a non-profit organisation which aims to reduce the long term and immediate costs of energy. 6 years ago he began looking to achieve the Passivhaus standard in modular homes built at a local factory. 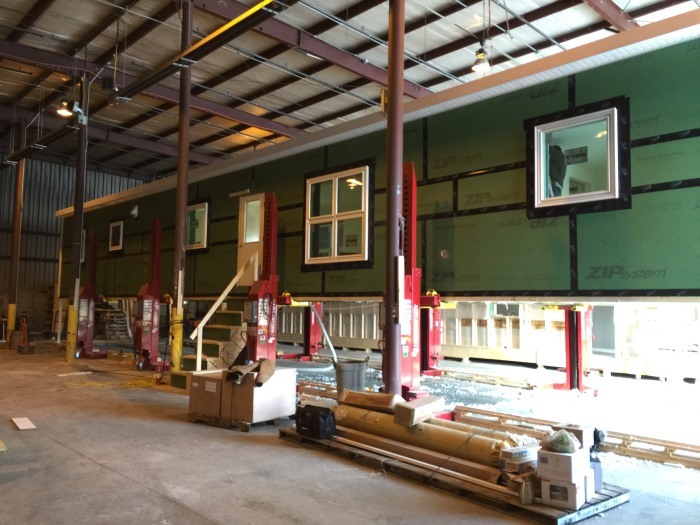 They work with 16ft wide modules of varying lengths and have an exterior thermal envelope which houses the insulation, air barrier and weather barrier siding. Multiple boxes on the same floor level are typically connected by an uninsulated wall with interior door openings, or just open spaces to move from one box to the next. 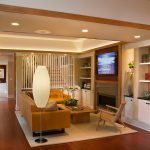 For boxes that fit on top of one another, there is a ceiling and floor system that connect together which provides rigidity when transporting and lifting the modular homes into place. 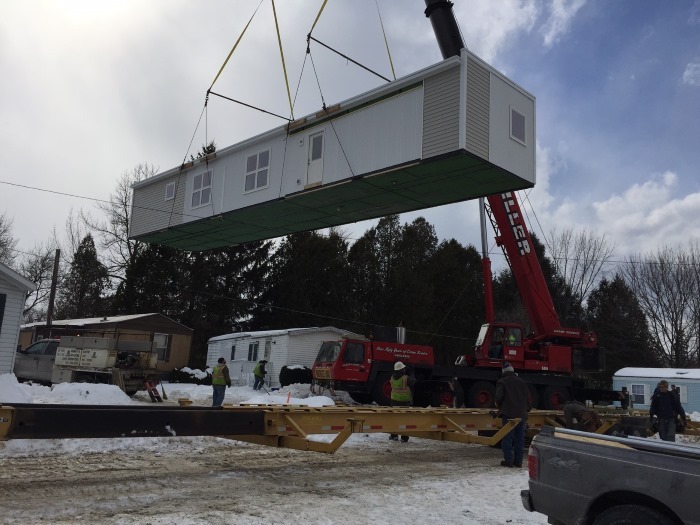 The boxes are built in a factory and transported on a flatbed trailer and delivered to the site where they are lifted by crane and set onto a foundation. The boxes are then moved together, fastened, fixed to the foundation and to themselves. A series of detailing with regards to airtightness, the weather barrier, and the siding needs to be done on site, but typically the houses can be delivered, installed and made airtight and weathertight within a single day. Designs aren't limited to four sided boxes but in order to take advantage of the modular build process with regard to cost and performance they generally do use the simple geometry of putting boxes together. Peter says that any forms can be built with this system, but there are cost advantages to getting as much built in the factory as possible as it will minimise the amount of work needed on site, which is typically where extra costs will occur. This is something the industry is working to change and Peter believes that builders, home owners and architects are beginning to see the value of working with modular manufacturers. A benefit of factory building is that they are being made within a climate controlled environment, and aren't susceptible to the problems of delays and trying to keep materials and equipment protected from weather on site. This results in a faster build process, and with a very close eye on attention to detail in a lot of factories, is producing homes which Peter says are exceeding the quality, creativity and performance of custom built houses on site. Rules vary according to State, but in Vermont the maximum width allowed to travel down the road is 16ft. 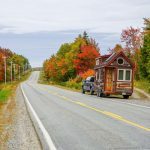 Length can be unlimited with homes typically being delivered of around 70ft length, which incorporating the truck means a full length of around 100ft. There may however be limitations in transporting something of that size when it comes to corners and inclines, so the route from the factory may determine the length that can be delivered. 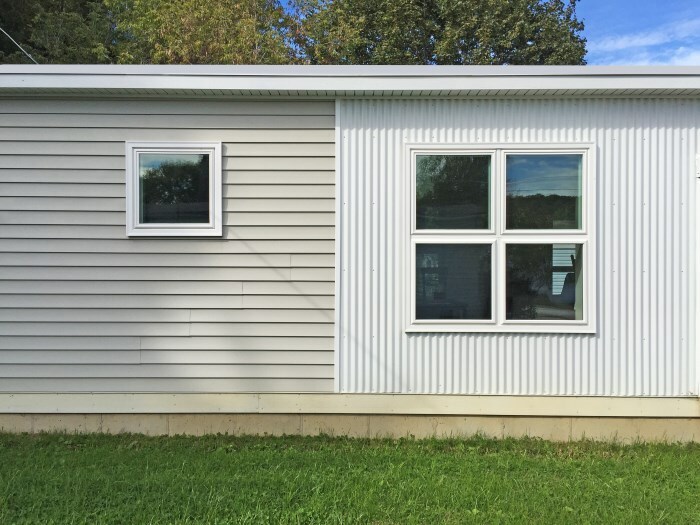 With a 16ft width restriction it wouldn't make sense to choose an 18ft or 20ft model, as the cost implications would mean that you wouldn't be taking advantage of the modular construction. 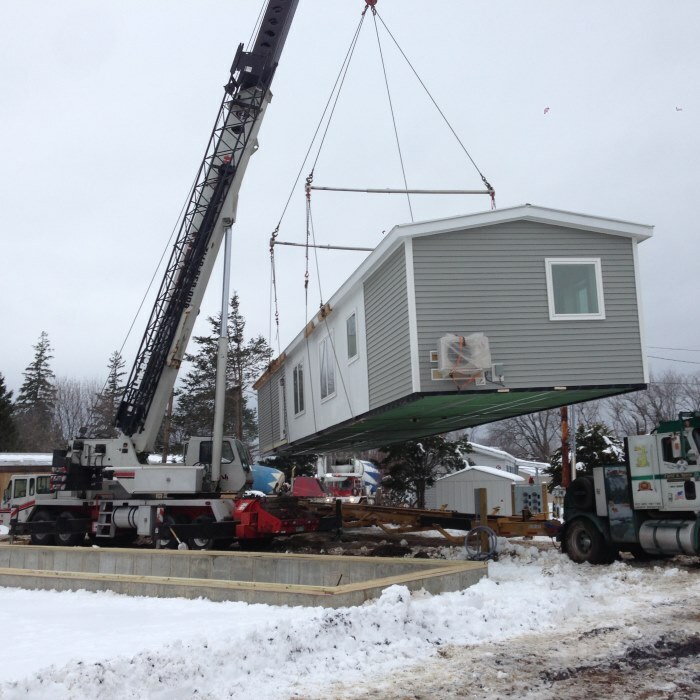 Because of the stresses of transport and being lifted by crane, there can be structural implications to modular homes, where certain things that might work well on houses built on site, therefore wouldn't be applicable to modular. As well as potential width and geometry limitations, an area that could be compromised is the attention to detail on site. There must be clarity with the user manual and instructions from the factory to ensure that the boxes are tied together properly, the airtight and weathertight barriers are installed correctly and in the way that the factory intended. Something more factories are doing is sending their own crews to finish the homes on site, ensuring everything is done the way they intended, and even warrantying the houses themselves and providing any follow up maintenance. 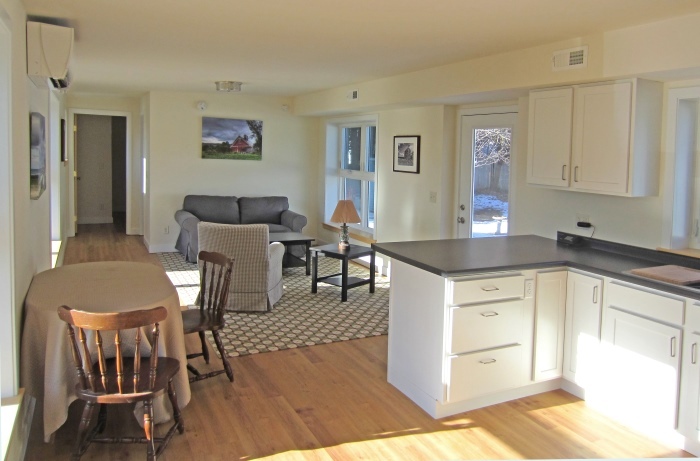 Historically, affordable housing has been concerned with initial cost price. However, lower cost homes tend to come with the drawbacks of worse insulation, poor windows, doors and airtightness. These aspects of lower cost construction result in higher maintenance costs and rising energy prices, making it difficult for lower income residents to build wealth. Additionally these types of homes can even depreciate in value. 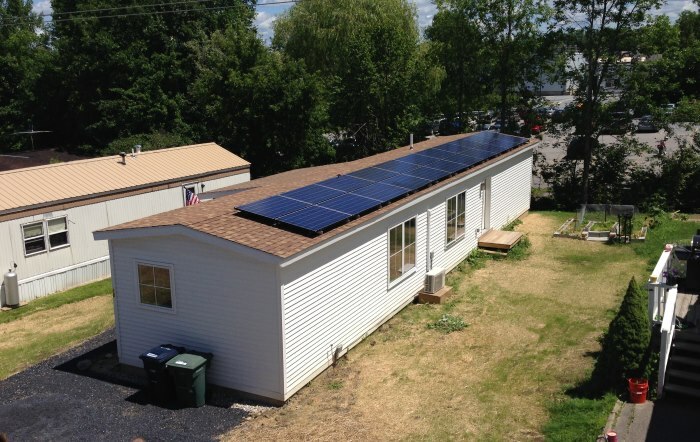 These types of homes traditionally have been manufactured mobile homes. They're delivered and remain on a steel chassis and while they may be very low cost up front, the poor air quality, ventilation, product choices and energy usage are costly to the residents. Instead, Peter says they are looking at life cycle costs and how they can help homeowners and tenants to have better, healthier housing, with an opportunity to reduce maintenance and operation costs, while also helping them build wealth. Download a transcript of the interview with Peter Schneider. 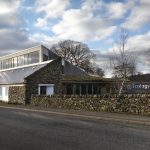 Ben Adam-Smith will be speaking at this event on Friday 17th June on the subject of “Behind the scenes of self build”, looking at the lessons he has learned in trying to build a house. Tickets are only free if purchased in advance online. Even if you can't make this session it is worth checking out the NSBRC website to see when their next event is happening. 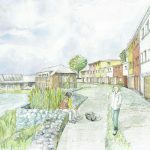 This month we have added another chapter in the Long Barrow Passivhaus story. 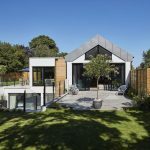 The house uses an Insulated Concrete Framework construction method, and in this chapter we're looking in greater depth at it's pros and cons, the role it plays, and why there's a lot of steel on this project. For more information about the group Facebook page, the quarterly progress calls and to see everything else it has to offer, check out The Hub. If you how to buy lithium have a condition that might result in longlasting..